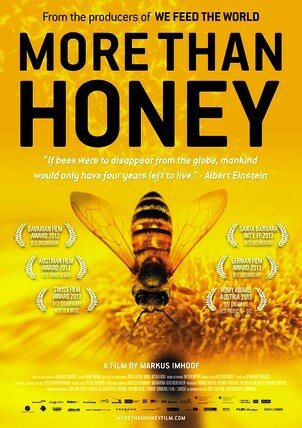 The movie for June 13, 2014 is: – More Than Honey – Over the past fifteen years, numerous colonies of bees have been decimated throughout the world, but the causes of this disaster remain unknown. Everywhere, the same scenario is repeated: billions of bees leave their hives, never to return. No bodies are found in the immediate surroundings, and no visible predators can be located. “Colony Collapse Disorder” is another term which has been applied to the unsolved mystery of the disappearance of bees.